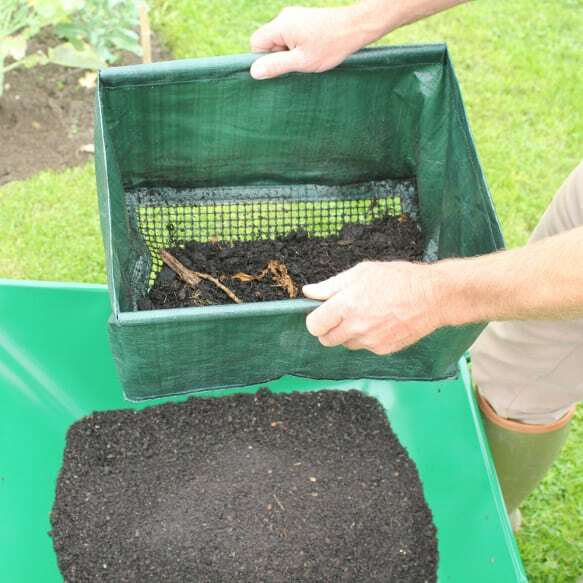 Easy Riddle is an efficient, lightweight garden sieve that takes the strain out of soil sifting. The flexible, lightweight mesh base and sides allow for a gentle rocking rather than vigorous shaking action. With the Easy Riddle there's no shake, no back ache and no spilling. 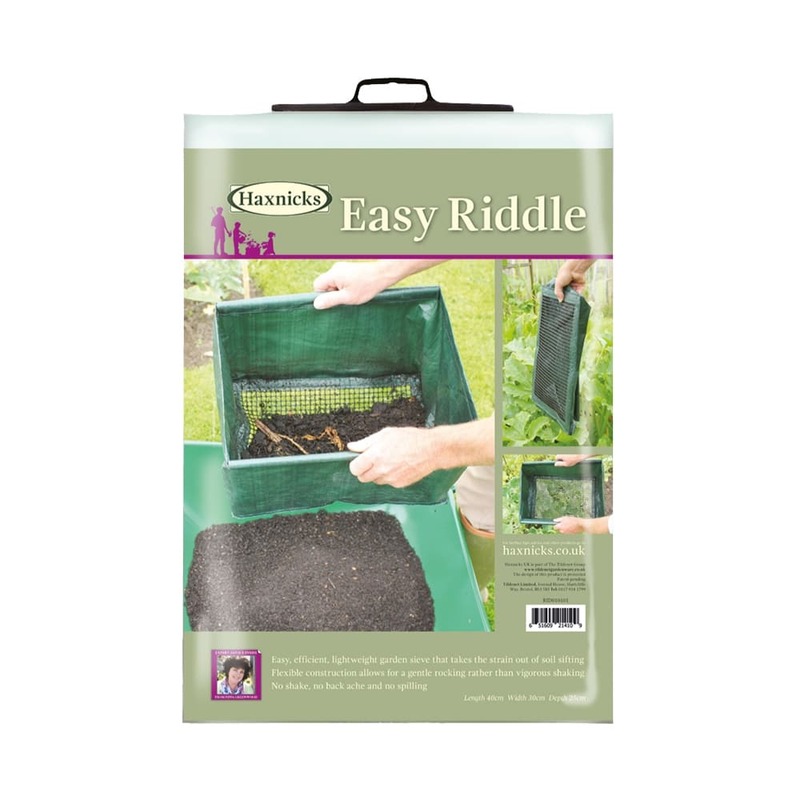 With deeper sides than a traditional garden riddle and a far lighter construction you will find it much easier to use. Once you have filled the Easy Riddle with compost or soil that needs sifting then, rather than having to strenuously shake the contents form side to side, you simply need to gently rock it up and down, allowing the soil to roll over the mesh base. Watch our video below to see the Easy Riddle in action and hopefully be entertained!